Hungarian has been described as the most difficult language to learn. That might be an exaggeration, but, the agglutinative (little bits of words all stuck together) nature of the Magyar tongue can be daunting. 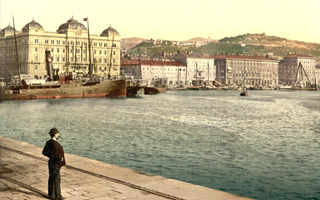 For a while under the Austro-Hungarian Empire, the Adriatic port city of Fiume was a free state managed by a Hungarian governor. The Hungarians required anyone wanting a position in the government to learn Hungarian. Most of those interested were Italian speakers who found the requirement impossible. They expressed their opinion in this word scribbled on the walls: ‘Legeslegmegengesztelhetetlenebbeknek’. It means ‘To the most unreasonable ones’. And, no. I’ve tried. I can’t pronounce it.